Meet the talented L.M. Smith, who got me so hooked with the first book that I went straight to the next one. Highly addictive, be warned! Imagine a town where you can stay out as late as you want, wake up when it suits you, you never have to go to work, and everything is free for the taking. Sounds perfect right? But what if you can’t remember where you are or how you got there? What if you can’t ever leave? And what if the only other people around are hostages, just like you? Would you still want to stay? Jasmine Marshall certainly didn’t think so until she met Justin Beck; a dashing active-duty member of the United States Army and fellow hostage. With him around life in Kolob might not be so bad after all … or so she thought. There are vampires and psychics at the breakfast table! Disturbing acts of torture and senseless violence are commonplace. Biochemical warfare is a very real threat, and the town’s mayor is an elusive mad-scientist obsessed with his own theories about December 21, 2012! In a place where one has everything to gain and nothing to lose, one thing reigns true: nothing in Kolob is ever as it seems. “Citizens” by L.M. Smith came with high recommendations to me and I did not think it could possibly live up to the hype, but it did. Jasmine – or Jazz -suddenly finds herself trapped in a hotel in Kolob, a mysterious city. The hotel is full of other ‘Citizens’, all also trapped by the unseen Mayor E. In this obscure and mysterious setting the ‘inmates’ need to figure out how they got here and why they are here. As the captivators or Big Brother begins to let them move around town and socialise with each other they all start their own theories why they are here. Are they kidnapped for ransom, are they political hostages ina cold war scenario, have they been selected on purpose or coincidental? The mystery around this situation is extremely well done. Page after page I tried to figure out with the characters what was going on. Gradually friendships and informal alliances form and plans to escape are being discussed. I can’t say any more than that, only that for the entire read I was impatient to find out. The characters were well chosen and worked well together as a group. I was amazed at how long the author could keep the mystery and the suspense up and manage to keep my interest and fascination. The writing is tight and professional and makes this very easy to read. When the mystery was finally solved I was not disappointed. ~ When I was a little girl I spent a lot of time exploring extremely vivid and detailed dreams, both while sleeping and while awake. These dreams would usually involve a small piece of a larger idea or plot and that piece would replay itself in my mind over and over again until I found a way to get it out of my head so that it could develop and more ideas could begin to flow through my imagination. It’s kind of like watching the same scene from a movie over and over again without ever actually finishing the movie. Trust me when I say it’s maddening! From a very young age, before I’d learned to read and write, I would try to tell people about my dreams but they would quickly become frustrated by the fact that the ideas weren’t yet fully developed so I just sounded like some scatter brained little kid prattling endlessly about nothing. As soon as I learned to write I started writing my dreams down, sometimes in the form of poetry and short stories and one dream even became an original song (I’m still waiting for my chance to sell it to Adele). As I got older the dreams began to show more development and they began to relate to one another to form longer and more developed stories. I never had any intention of publishing anything until my husband and my mother insisted on it … now I can’t seem to stop. When did you first have the idea for the Citizens? ~ This has become one of the hardest questions for me to answer. The thing about most stories is they don’t start out as complete idea, they start out as a series of little ideas that are kind of ‘cool’ but I don’t really know what I will do with them so I just kind of hang on to them and then suddenly another idea comes along that ties a bunch of previous ideas together and that starts a snowball effect that then becomes a story. I was raised by a father who believed that the end of the world and Armageddon would happen in my lifetime so, on some level, the idea of writing a dystopian story has been with me for most of my life and they were always among my favorite reads as a kid. The idea that humanity could be changed in paranormal ways due to a global virus that unlocked these hidden abilities that we all had dormant and were unaware of was another idea that appealed to me from a young age and was particularly fuelled when I learned about the Institute of Noetic Science and the fascinating studies that they conduct. Did you know then what the Refugees would be about? ~ Definitely not. When I began writing The Citizens I didn’t even fully understand what that book would be about and I never would have guessed that it was going to be a series. When I began outlining The Citizens I knew that a group of people would be trapped in a ghost town and that their every move would be watched but I didn’t know they were going to develop supernatural abilities until it happened. The Jazz Nemesis series is starting to feel, to me, like it is writing itself and I’m just the vessel that puts fingertips to the keyboard. It is not uncommon for me to write something and then shout through the house ‘HOLY CRAP!’ when the story itself takes a twist that I had not anticipated. I might add that my husband hates it when that happens because he always comes running to find out what’s wrong. ~ I think I started writing The Citizens in early 2011 and published it in early 2012. For a decent portion of that time the book was finished and I was simply sitting on it trying to convince myself to publish it. The Refugees took less than a year. I started writing it in late Spring of 2012 and publish it on December 21, 2012 – mainly because I knew that it needed to be published on that date due to the nature of the story itself and I really pushed myself to do nothing else but write for months until it was ready. ~ I blur the lines a lot between re-writes and editing, I suppose. I typically outline every chapter of a book first and foremost but each chapter is basic, bare bones, no pretty words, ‘this is what happens in this chapter’ meat and potatoes stuff. Then I go back and write every single chapter based on the outline. This is where I care about making everything sound good, checking continuity, getting the flow and pacing right. Next I go back and re-write the pieces that I’d been stuck on before or the pieces that just don’t sound quite right when I read them. Then I do what I call editing but it usually becomes another rewrite. I read the entire story aloud to myself and make changes and edits as I go. After that I print out two proof copies of the book – one for myself and one for my editor. I read my copy aloud to my husband and make notes of typos and things that don’t quit sit right with me and my editor does the same with her copy. Then we put our notes together and I do a final re-write and polish on it before publishing it. I’m not sure how many ‘rewrites’ that might come out to but that’s the method to my madness. Which of the characters did you enjoy writing about the most and would you say you are like any of them? ~ I enjoyed writing Gabriel the most because he’s just yummy incarnate and his personality is infectiously fun. I can’t help but be in a good mood when I’m writing him because if he’s happy he makes me happy and if he’s angry he’s hilarious. From the very beginning Jazz has always been based on me (except she’s prettier, obviously). I am a computer geek, a gamer, a loner, and a devout worshipper of coffee. I grew up with a paddock full of horses, can hold my own with a firearm, and have a horrible temper that often border on petulant, bitchy, and just plain mean at times. We have the same insecurities, ambitions, interests, and fears. In fact, she started out as my favorite character to write because it was easy for me to know how she would act and react and exactly what she would say in any given situation or moment. She quickly became my least favorite character to write because in being honest with myself about her behavior I had no choice but to be honest with myself about my own. She’s a jerk sometimes and that means, so am I. After the first book came out and so many people commented on her personality flaws I had to really come to terms with myself – especially when it comes to how I treat people that I care about. Some of you may have noticed some efforts Jazz is making to be a little bit nicer in book two. I can assure you that her efforts (and her inevitable failures in those efforts) are as much a reflection of my own struggles with self-improvement as the original version. How comfortable do you feel writing in a genre that is so popular and whose market is so saturated? ~ Fortunately, I don’t worry too much about either scenario. I never sat down and said “I want to write a novel, what can I write about?” nor did I ever look at the popular books on the shelves and think “I wish I could write a book like that”. The Jazz Nemesis series is organic in the sense that the ideas pop into my head and I write them down. I have a full-time job that pays the bills and so does my husband. If my books never make it past a modest Facebook following it won’t discourage me from continuing to write … in fact my Facebook fans have become the biggest reward that I could have ever hoped for when I decided to publish the first book. Their comments, support, and enthusiasm are worth more than movie contracts and Jazz Nemesis action figures. If those things happen, so be it and I’ll cross those bridges when I get to them but the story doesn’t care if it’s compared to The Hunger Games or Twilight. It is what it is and the fact that so many people have embraced it is all that matters to me. Do you read the same kind of books? Do you have time to read? ~ I WISH! It’s a double edged sword really. On the one hand if someone had told me that writing a series meant I wouldn’t have as much time to devour the works of other authors I may have reconsidered publishing in the first place. On the other hand everyone seems to want to cry foul these days and I know a couple of authors that have been accused of ‘borrowing’ ideas from someone else’s works. Before the Jazz Nemesis series, my favorite books to read were an eclectic mix from paranormal/supernatural to classics, dystopian, and fantasy/sci-fi. Watership Down and The Hollows series by Kim Harrison are still my favorites and I do take time to read the latest Kim novel when one comes out (I’ve gotta have my Kim fix). I enjoyed 1984, Lord of the Flies, and Alas Babylon as dystopian reads and The Lord of the Rings and Harry Potter will always have honored places on my bookshelves. Perhaps when the final book in the series is written and fans are gobbling it up I’ll be able to crack the spine on The Hunger Games (something I’ve been meaning to do for years) or one of the other uber popular books that are being made into movies (movies I refuse to watch until after I’ve read the books). Or perhaps a new idea will spawn and I’ll be trapped in a case of ‘no rest for the wicked’. ~ I am also a computer programmer and MMORPG gamer so my writing environment is similar to my coding/gaming environments. Coffee is a must, sunflower seeds are helpful, tucked away in my office in the corner where I can see out the window and see the door at the same time. I must have a big comfy chair that I can sit cross-legged in and peace and quiet is required to avoid interruptions and distractions. Once those ingredients have been tossed into the cauldron it’s just a matter of letting it brew until it starts to bubble over. Who are your favorite authors / influences? ~ I love the way J.K. Rowling and Kim Harrison write entire plausible realities rather than just stories. They don’t just create fantastical characters that live in our world, talk the way we talk, eat what we eat, wear what we wear and expect us to believe that they’re special. They give them these richly detailed worlds with their own style, slang, and culture so that we can believe in the entire package and, for that matter, wish we lived in it. Kim also has an amazing sense of whit in her stories that I love. It’s rare when a book can make me laugh out loud and it always feels good when it does happen. Richard Adams and J.R.R. Tolkien are masters of the craft when it comes to word selection, detailed descriptions, and literary paintings that encapsulate and engage all of the reader’s senses. I really like the way Dan Brown and John Grisham allow their stories to unfold at the same pace that the characters are experiencing it so that the reader feels like a part of the story rather than an observer. I also have to give kudos to Stephanie Meyer for writing one of the technically cleanest pieces of literature I’ve ever picked up – or perhaps those props go to her editor. What is your next project and where would we find out about them? ~ I am currently working on book 3 of the Jazz Nemesis series! 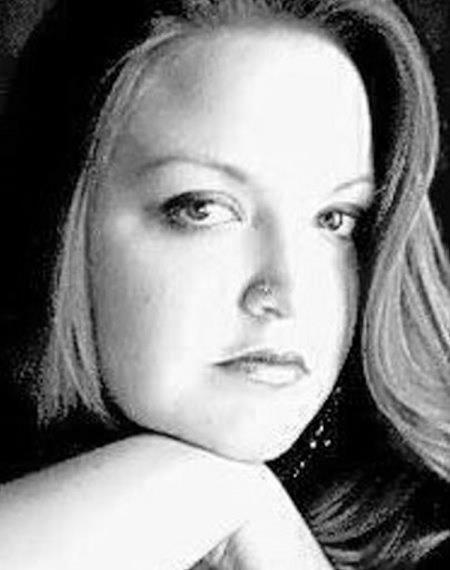 I will be posting release notifications on my website (www.AuthorLMSmith.com) and on facebook (www.facebook.com/AuthorLMSmith). If you want to be notified via email when a new publication is released by me you can also join my SPAM-FREE mailing list. I only send emails to mailing list members for new releases and book signings. To sign up for the mailing list visit my website (www.AuthorLMSmith.com) and enter your email address in the mailing list box located in the right margin about half-way down the page. When Jasmine Marshall and her fellow hostages finally won back their freedom and escaped from the mysterious town of Kolob, they believed they would be rejoining civilization and resuming their normal lives. To their horror, what they found on the other side of the dense forest was far worse than anything they could have ever imagined. On December 21, 2012, an unprecedented series of global attacks changed the world and shook the very foundations of society. A significant portion of the Earth’s population died following exposure to an illness that the media dubbed ‘The Maya Virus’, leaving the survivors to examine and question their humanity as vampires, demigods, and zombies crawled from the body bags of the aftermath. Valkyries, demons and other ancient creatures that had lain in wait for centuries began to emerge, seeking to claim the spoils and feed on what remains of mankind. Panicked governments are struggling to maintain order – some of them at any cost. With her newfound empathic power driving her toward the tumultuous precipice of insanity, Jazz will now face the single greatest tribulations of her life. Will she choose to follow the man she loves despite his many unsettling secrets, or will she succumb to a treacherous phantom from her troubled past who could very well provide the ultimate key to her survival? 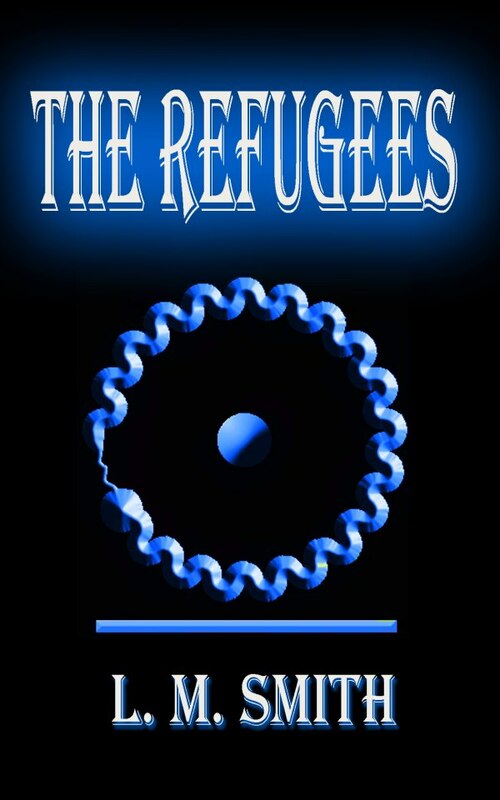 “The Refugees” by L.M. Smith is the sequel to Citizens, which I was given by the author in exchange for an honest review.This one I got myself because I needed to know what was going to happen next.The story is every bit as good as the first one, once again the author manages to keep up the suspense throughout and draws us into this new world. Having escaped their imprisonment in Kolob the protagonists are entering a catastrophic environment where the ‘Maya-Virus’ is claiming lives and causes chaos and disorder. Once again stuck the heroes are determined to cross blockades and closed borders to locate and reunite with their families. As with most second instalments the characters are now well established and begin to clash a little, develop and enable the cast to become familiar to the readers. The former Citizens were study objects in Kolob for their supernatural abilities and the strange virus adds a new dimension to their individual physical or species’differences’. The Refugees is a great sequel in that it keeps the main elements of its predecessor but playfully brings in new ideas and creatures, while giving us a completely new environment and scenario to witness. I could not imagine how Smith would follow her big first act and expected the Citizens to be hunted by another medical research team. I am very grateful that – although the author might have written such a book very well – we are offered something so different and entertaining. How cool you’re featuring, L.M. Smith and finally I can say I’ve read both of these and her writing is exceptional. 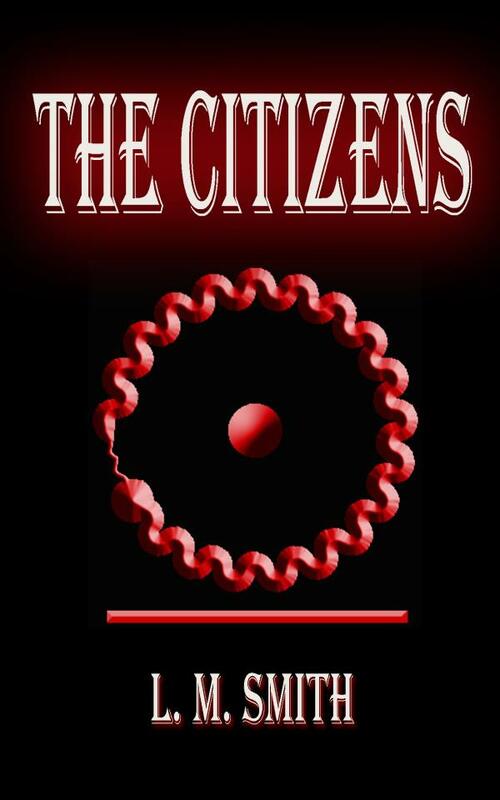 The Citizens was one of my favorite 2012 paranormal reads. Once again, thanks for featuring another great author. I am pleased to hear that Paulette. I loved those books and it means a lot to me that someone else can second me on my recommendation! Thanks !